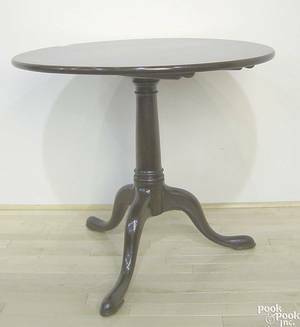 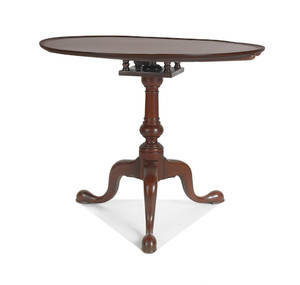 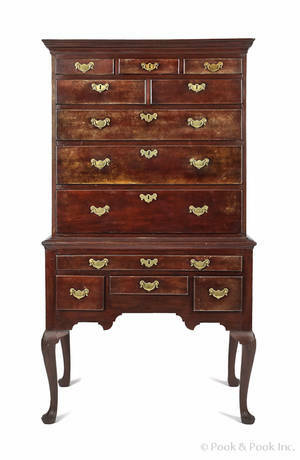 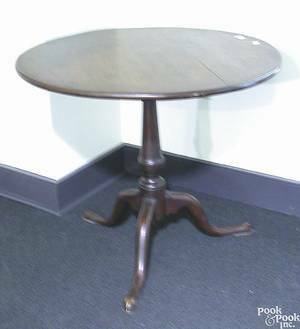 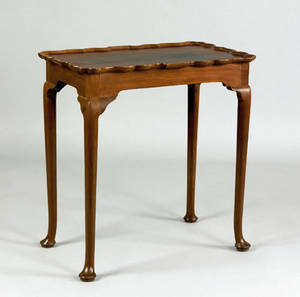 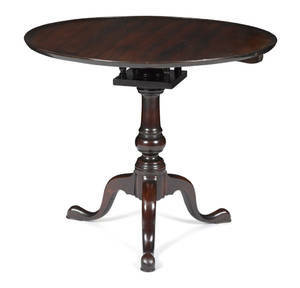 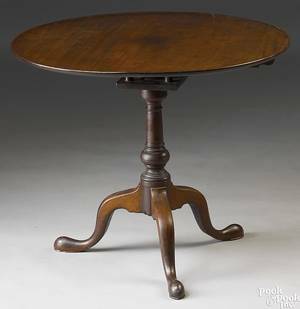 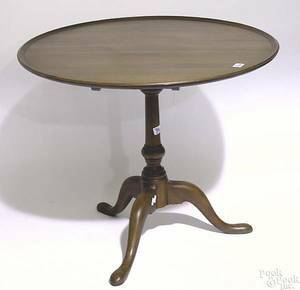 Philadelphia Queen Anne mahogany tea table, ca. 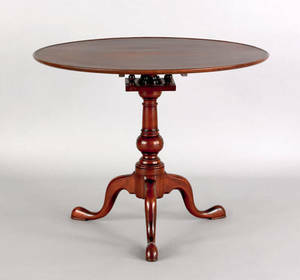 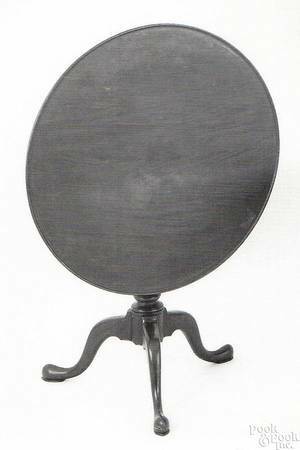 1765 , the circular dish top tilting above a birdcage and suppressed ball standard, supported by cabriole legs terminating in pad feet, 28 1/4" h., 35 1/2" dia. 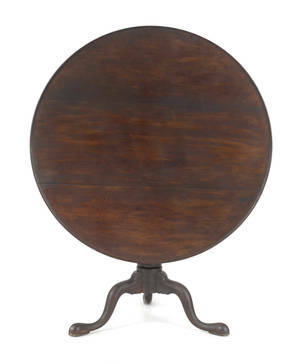 An early typed label discusses the table's descent in the Richardson and Spackman families of Mill Creek.